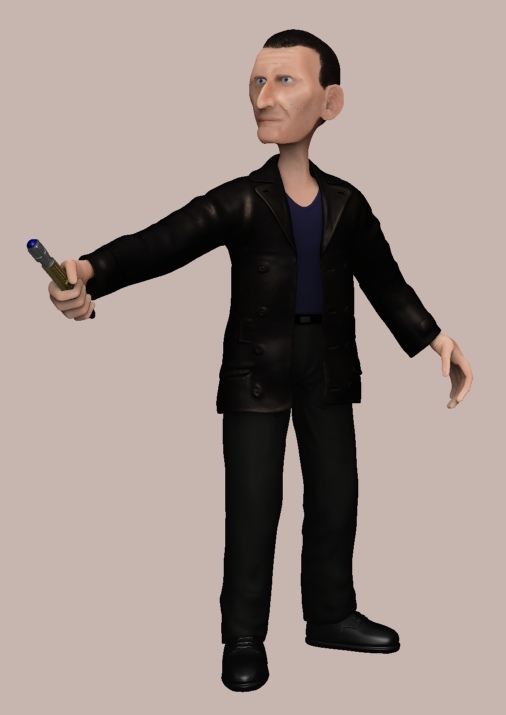 The 9th doctor has now had the modelling completed and textured. The texturing is not great but I think works. 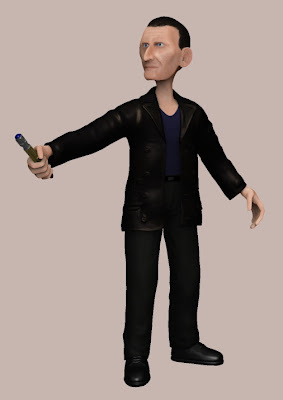 I've also posed the model and added a sonic screwdriver prop. 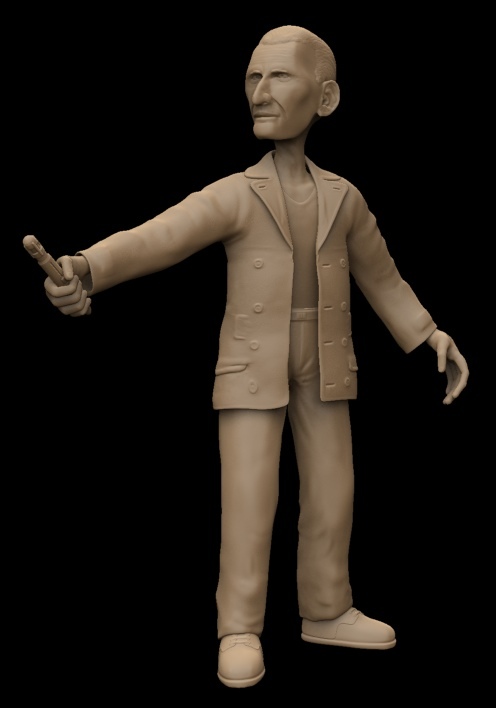 All the modelling and texturing was in ZBrush. I now need to figure out how I can transfer it to blender with UVs for the shader, displacement and normal maps. It currently consists of 31.5 million polys. I think I made it difficult for myself just using ZBrush, next time I'll use ZBrush and blender together. Click here for a movie turntable.